God has been enlarging our territory as we witness more people coming to salvation, existing church families strengthened and new church families starting in Skagit Valley, Mexico and in Central Africa. We are blessed to have been born and to live in a country in which we have the freedom to practice our religion as well as the opportunity to prosper. Harvest Vision is blessed to be in partnership with men and women who suffer unbearable conditions to carry the good news of Jesus to desolate places and it is an honor to be able to support these men and women through this ministry. We need your help. You are an important and critical part of His plan. Your provision can help us fulfill our God-given vision. Please partner with us as a monthly electronic giver. Your faithfulness sets us free to focus on ministry and not fundraising. You are welcome to sow on top of your monthly partnership as the Lord provides and lead. You will save Harvest Vision Ministries money, help us plan more effectively and reach more of the hurting and lost if we are at peace that our basic monthly needs are provided for. Will you please co-labor with us in His Harvest? If you can use your checking account all of your gift goes to Harvest Vision. Otherwise Harvest Vision is charge a fee for Credit/Debit Donations. This includes admin costs such as hosting websites, newsletters,etc. Ministry expenses associated with worship events, including equipment, transportation & maintenance; ministry expense associated with the fellowship center and various outreach ministries to the homeless, etc, including the Harvest Kids ministry to reach vulnerable children in Africa. This includes the utilities (electric, water, taxes) necessary to maintain the ministry complex in San Luis, Mx. Also, ministry costs and upkeep for the sewing, carpentry, worship trailer, vehicle loaning, prison, rehab, clothing & feeding ministries and providing resources to local church leaders, especially in cardboard city. This includes communication (internet & phone) & transportation and some family support money for the pastor of the church in the federal prison. This includes the utilities (electric, water, maintenance); office supplies; communications, including internet, website hosting & phones; pay for the administrative coordinator necessary to maintain the ministry office in Kampala, Uganda and maintenance and upkeep for the cars being used by the director and coordinator of the Bible schools. This also maintains 9 sets of sound & video equipment and provides support for the coordinators in the different countries in Central Africa. This also includes a monthly support for Comfort Africa, a project to reach vulnerable children. As God continues to expand the ministry, we continue to incur more and more monthly expenses. Your monthly pledge will help us to be effective stewards of the resources God provides. Has the Lord blessed you "above and beyond" recently? Perhaps He is calling you to share some of those blessings in support of Harvest Vision Ministries. Your one time gift will be used to further this ministry in ways that will impact the kingdom forever. As you “Open your eyes and look to the harvest fields”, has the Holy Spirit touched you personally about meeting one of the specific needs of this ministry. Please contact us for more information about “designated giving”. Do you have a special person or special event that you would like to give thanks to the Lord for? A loved one that has now gone to the Lord. Your engagement, marriage, anniversary or birth of a child. A special occasion like the graduation of a child from kindergarten or college or the purchase of your dream home. What a blessing to commemorate this person or event with a gift to expand God's kingdom. Your last will and testament is an opportunity to witness to your friends and loved ones about your faith in eternal salvation and to communicate your desire to see "His Kingdom Come". We strongly encourage each of you to be a good steward of your resources by making a will and testament to convey to your family and friends your desires on how you would like to bless those that remain after you leave to be in the presence of the Lord. Please contact us if we can be helpful in any way. It is difficult to ask for your help, but our funding fluctuates so much we cannot effectively plan our resources which affects our ability to impact His kingdom in Central Africa, Mexico and locally. If we had consistent funding we could greatly increase our impact. Our Lord has need of you. We need underwriting partners that know they are called to co-labor with us and share in the reward eternally. We invite you to partner in the harvest with us as these days draw to a close. A monthly electronic partnership, annual pledge or both will have great impact in the Kingdom. It enhances our effectiveness...and effectiveness is what counts. Discouragement that comes after starting a work and then not being able to finish it undermines us. Having to stop work and regroup and go appeal again to the Body of Christ to send another gift so we can go back and try to pick up the pieces is not the way to run an effective ministry. 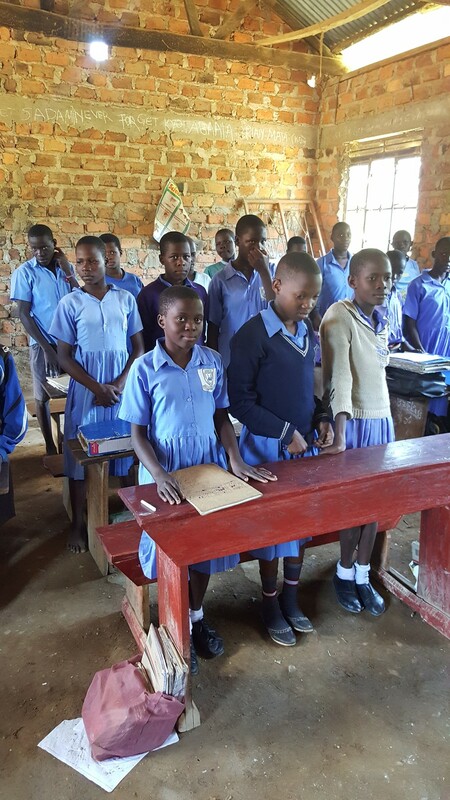 You can still sow single gifts on top of the monthly pledge as needs and provision arises. You may want to make an annual year end pledge as well. How much? Ask Him. It is all about Him. Everything we have is His and what we do here in faith is accorded to our account forever. It needs to hurt a little here to make it count on the other side. We need you and we need you now. The harvest is ripe. Clicking the On-line Donations button on the top and fill out the form. If you can use your checking account all of your gift goes to Harvest Vision. Otherwise Harvest Vision is charge a fee for Credit/Debit Donations. It will be submitted by protected email. Or contact the office at 360-421-8811 or 360-421-8812 and we can take the information. For other information contact by phone at 360-421-8811 or 360-421-8812 or by email at harvestvision21@msn.com.